Crunching leaves beneath your feet… cool, crisp air swirling around… I love Autumn! 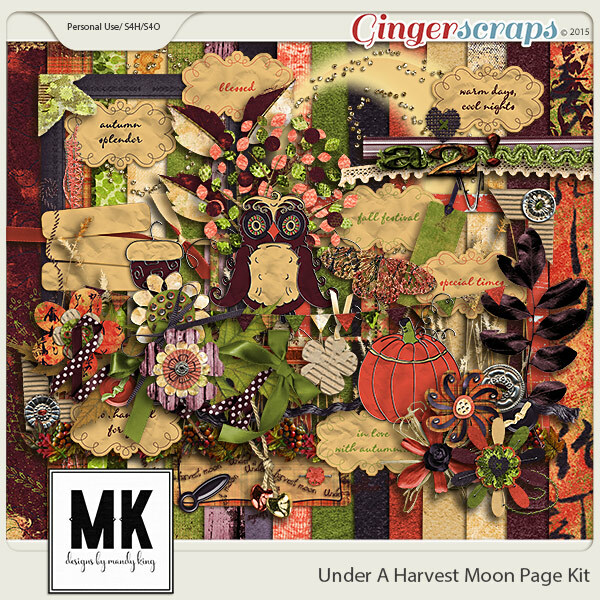 This Harvest Sunrise Kit has deep colors and beautiful elements that will be perfect for your harvest memories. Hello Fall!! 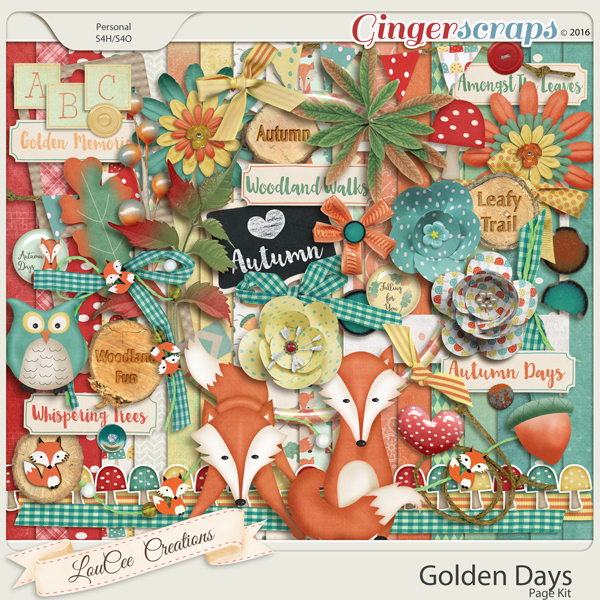 Pumpkins, changing leaves, autumn flowers and little woodland animals are here to welcome fall in this digital scrapbooking collection. Everything you need to scrap the start, middle, and end of all things Fall…and more! Leaves changing color, cool breezes, pumpkin-flavored everything for sale… It can only mean one thing: it’s officially fall! 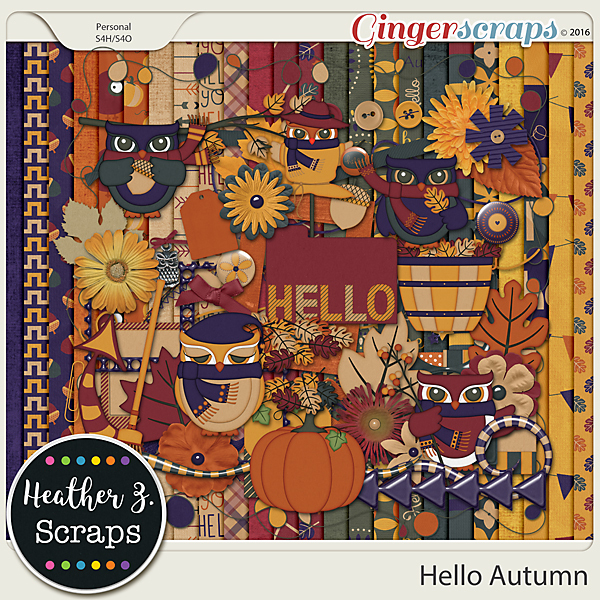 Hello Autumn captures the colors of the season perfectly, combining rich reds and oranges with crisp yellows and tans, complemented by subdued green and twilight hues of violet and blue. 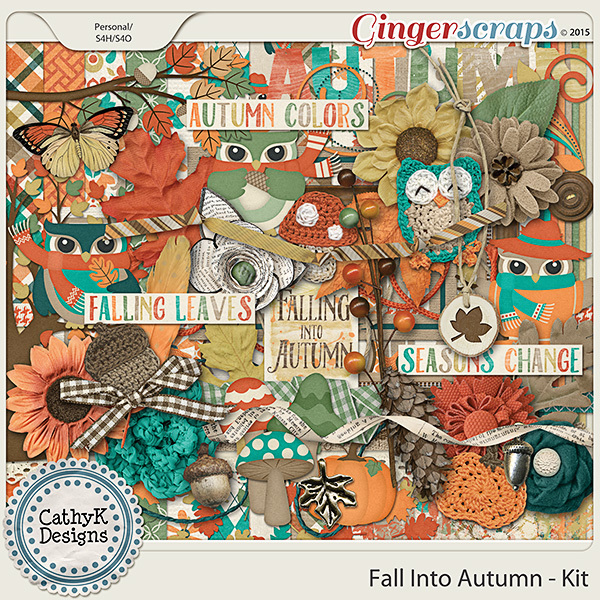 This bold, celebratory kit welcomes in the new season with thematic elements galore, including changing leaves, pumpkins, and the cutest little owls in scarves. Doodled alphas, playful journal cards, flairs, and flowers galore add an extra pop of fun to your scrapbook pages. Whether your favorite parts of fall are the leaves, the breeze, or the pumpkin treats, it’s time to scrap those stories with Hello Autumn. 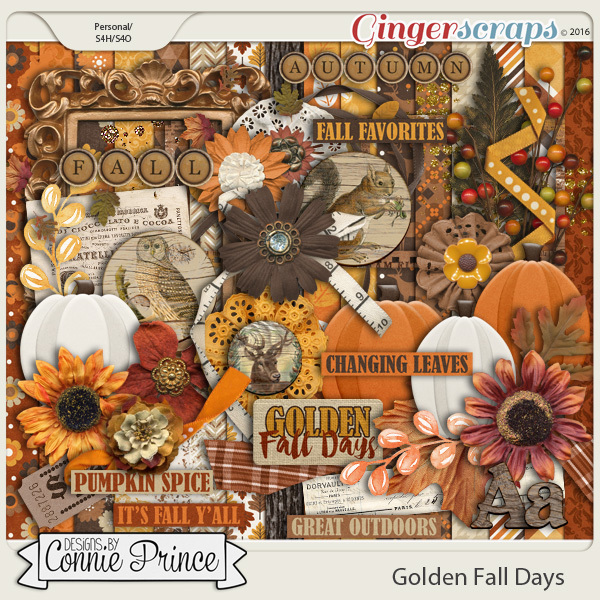 Fall Fun – Kit by Connie Prince. Nothing shouts autumn more than the myriad of colorful leaves that coat the ground each fall. I love the crack and crackle of them as I walk along in the parks and my yard. 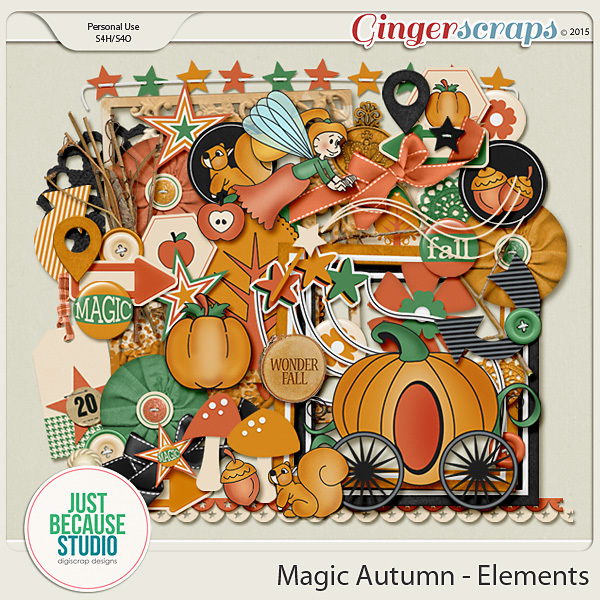 Autumn Splendour – Digital Scrapbooking Kit by Ponytails Designs It’s the time of year that everything around you turns from verdant greens to the brilliant colours of autumn. Crisp, foggy mornings and warm, golden afternoons… simply splendid! 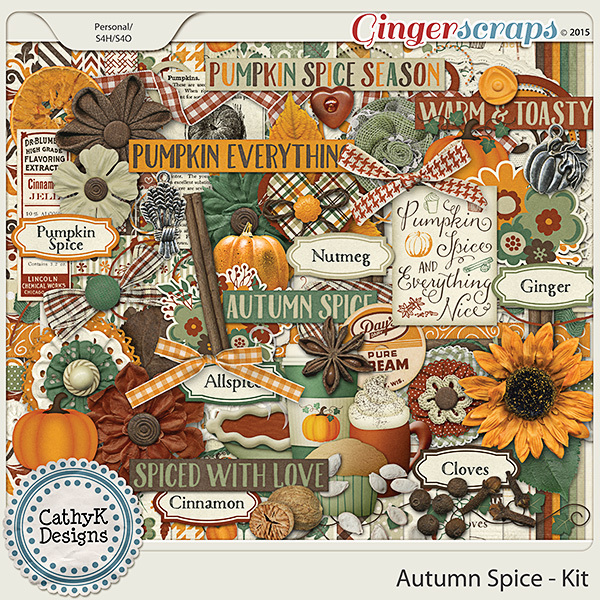 This pumpkin spice themed kit from Joyful Expressions is full of fall fixings that you can use to bake up fantastic fall scrapbooking pages. You blink and it’s suddenly September. Celebrate the joy of the seasons changing, air cooling, and leaves getting ready to fall with My Life… September. The latest installment in the series draws on the rich hues of autumn to perfectly complement this moment in time. 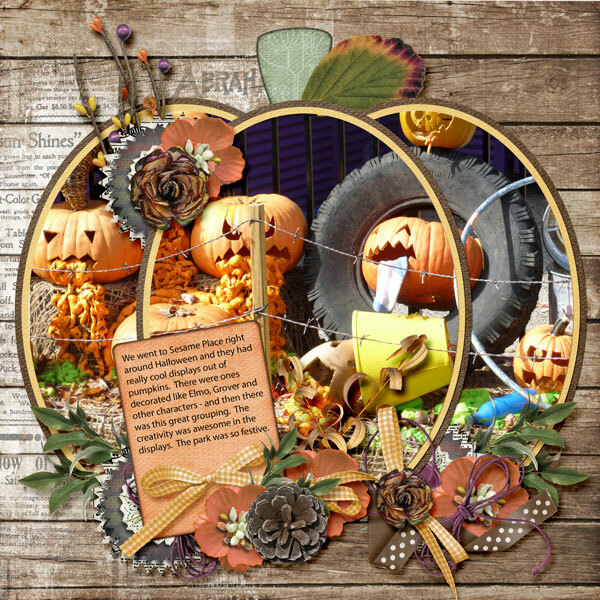 Featured motifs include woodland creatures like squirrels, owls, and birds; changing leaves, acorns, and scarecrows; vintage ephemera, butterflies, and flowers. 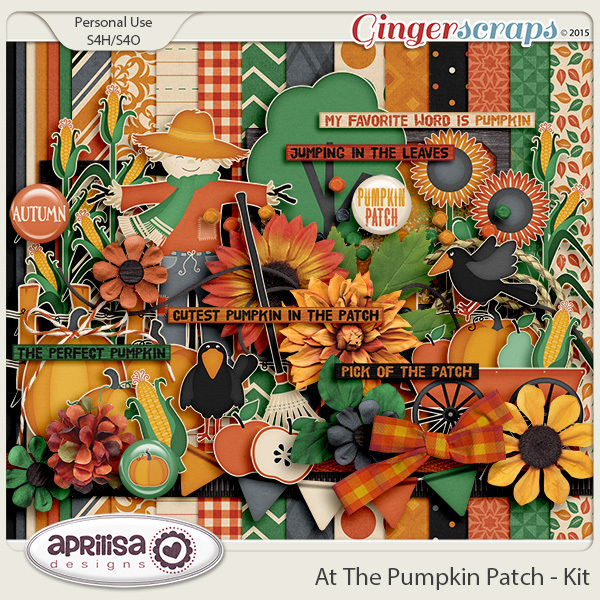 This kit has everything you need to streamline your scrapping too, including perfectly coordinated patterned papers, thematic word strips, and a full alpha. 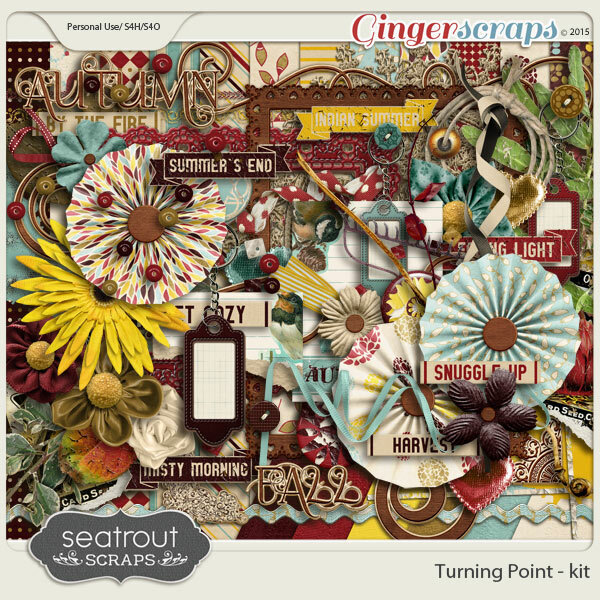 With so much jammed into this kit, you can spend less time searching your stash and more time scrapping. As you can see, not everything is about pumpkins. 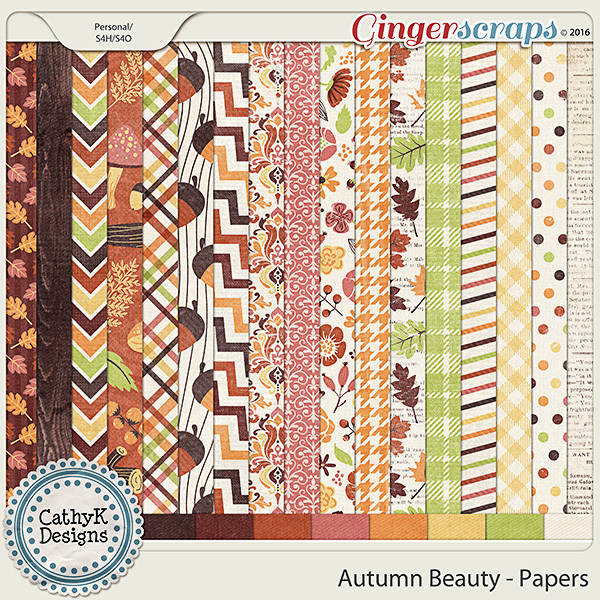 There is such a great variety of goods to scrap your Autumn pages. Make sure you check out these past Buffets! There is so much more autumn goodness to be had. I will link those up for you here to help out. Here in the states it is technically Autumn. Although, in the south eastern side of things it doesn’t feel like it. We had summer temps last week. No joke! The hot weather I am dealing with aside, it is Autumn none the less. 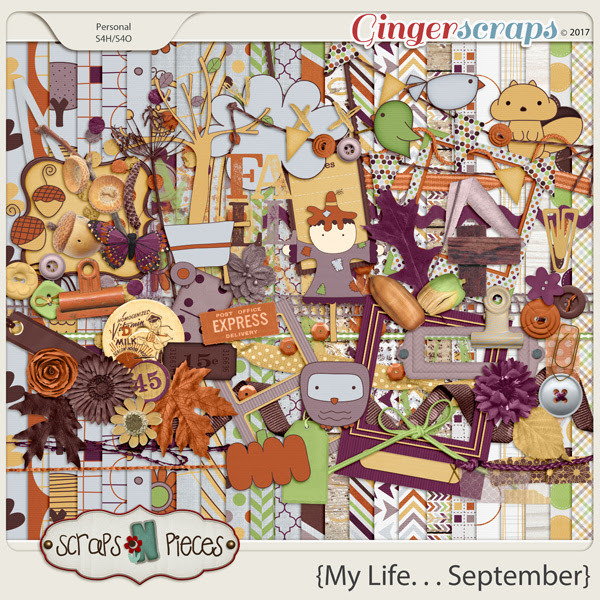 To me, when I think Autumn, I think leaves!…and well scrapping. 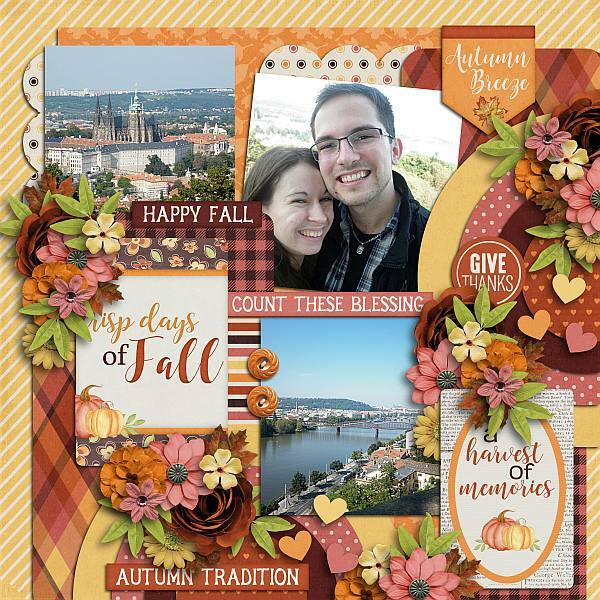 Hands-down this time of year brings my favorite digital scrapbooking supplies to the stores. I just love the colors of the Autumn kits, all the leaves, and the nature feel to it all. 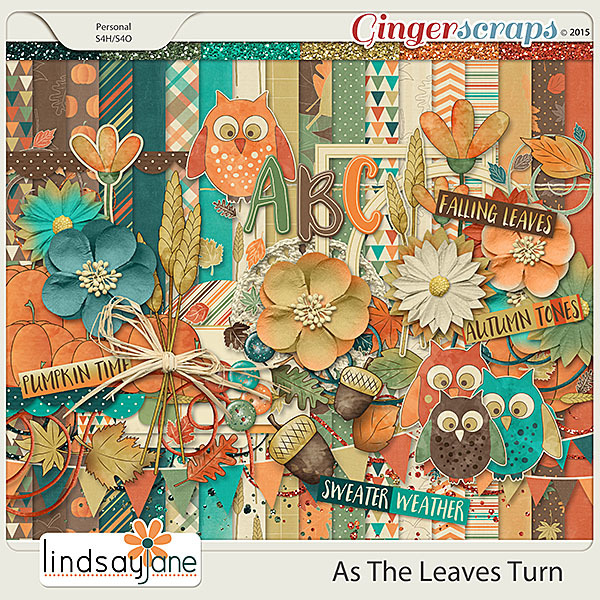 One of my favorite things to do with leaves on a digital scrapbooking layout is to cut them out into the page with a patterned background behind it. This is a great example of that! You could also get this effect by overlaying your favorite paper on top of a leaf you like in a kit (or shape in your program). Then shadow it to look like a cut out. 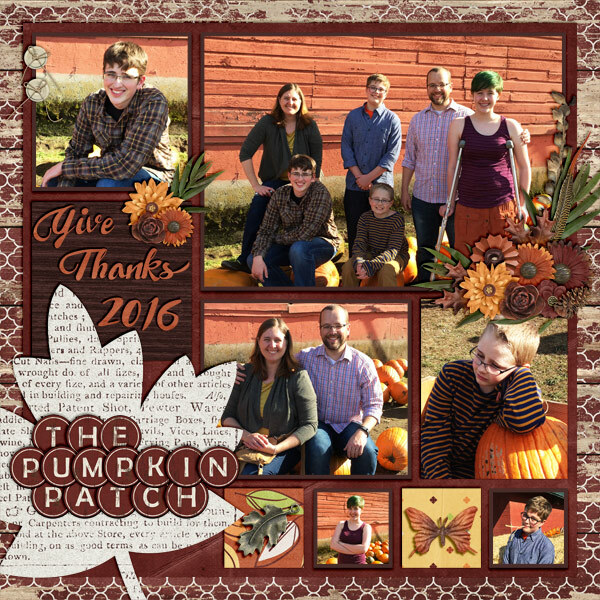 One of my favorite things about digital scrapbooking (besides actual scrapping) is the online community. Siggies in forums are a fun part of that! You can also take fun photos with leaves, to scrap. Here are two great examples of that. One of them being super fun; and the other one showing the beauty that is nature. You can also use a cut out to make a great focal point or background to a title for your layout. See below for this exact template! Leaves are also one of the best (in my opinion) items to use for clustering. Framing a photo or anything really is another great use for leaves. Let us not forget the beautiful leaf-patterned papers and more. 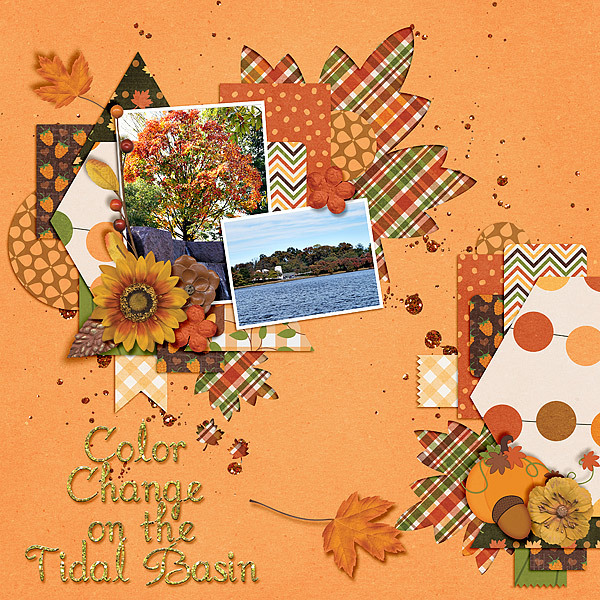 There are a lot of uses for leaves in digital scrapbooking. The examples above are just a slight glimpse into what you can do. 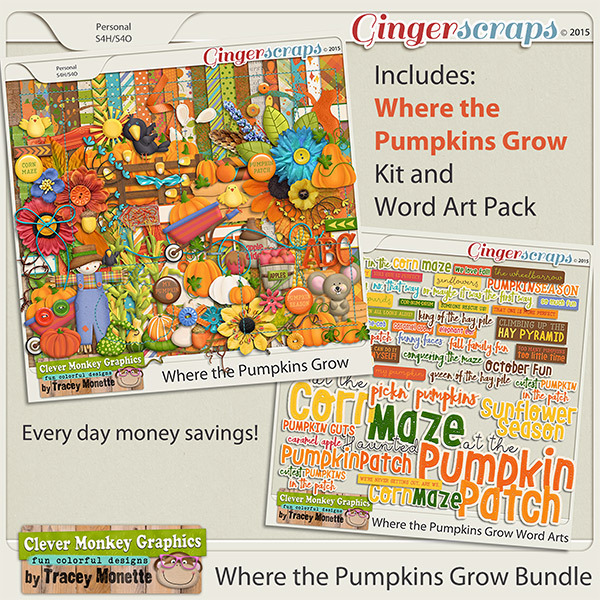 Now that your mind is thinking about leaves and how to scrap them, here are some great items from the store to scrap with! 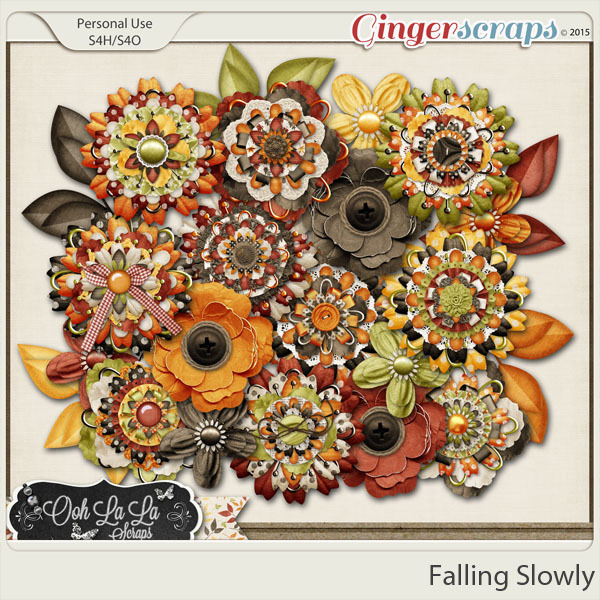 Are you in full scrapping mode today?! Today is the official day of DSD. I have been scrapping like mad. Do you know what October also brings with it? All things pumpkins! That is what we are going to talk about today. Scrapping with Pumpkins. 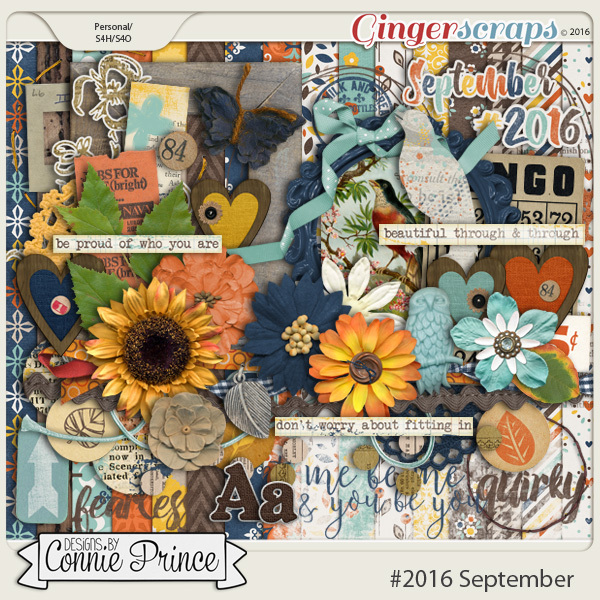 You will be hard pressed to find any digital scrapbooking kit without at least one button in it. Take a look through your stash. 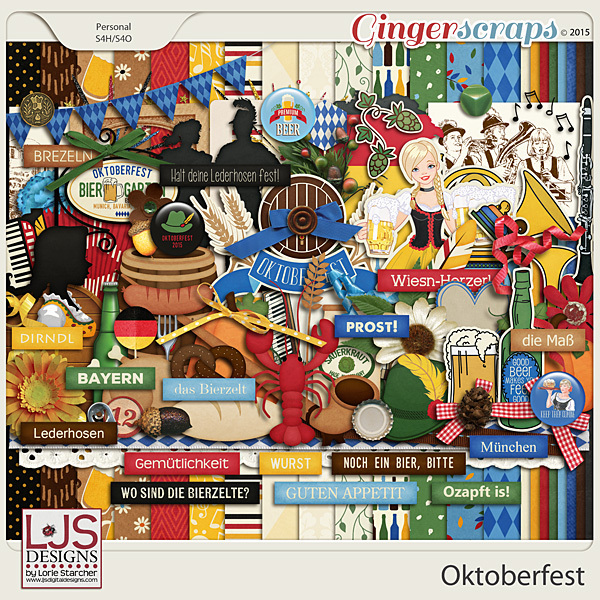 FInd all those orange, yellowish, brown, and green buttons. 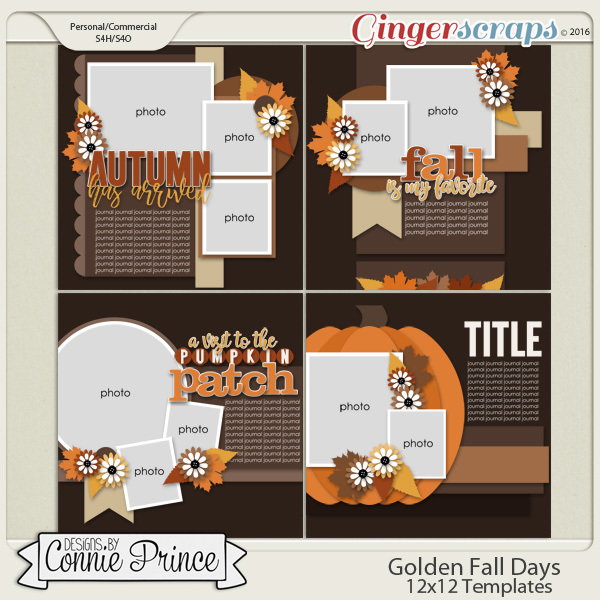 How cool would this be on a digital scrapbooking layout? I am absolutely going to do this on one of my digital scrapbooking layouts for my sister’s book. This is such a cute idea. 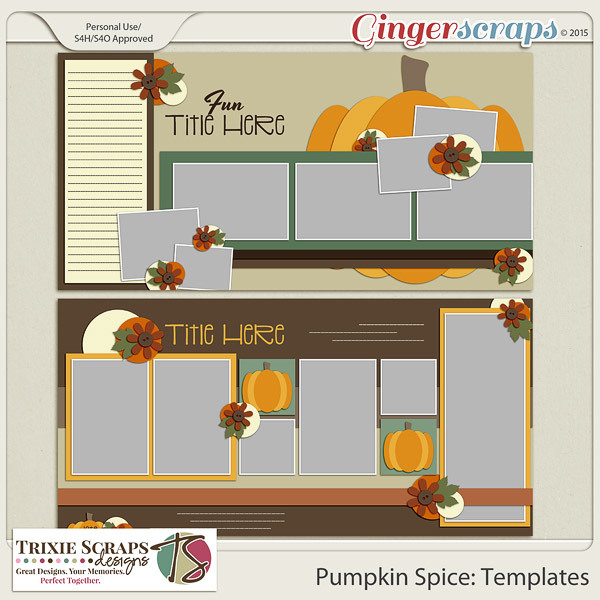 You can find a lot of pumpkin templates out there (see below) to accomplish this. 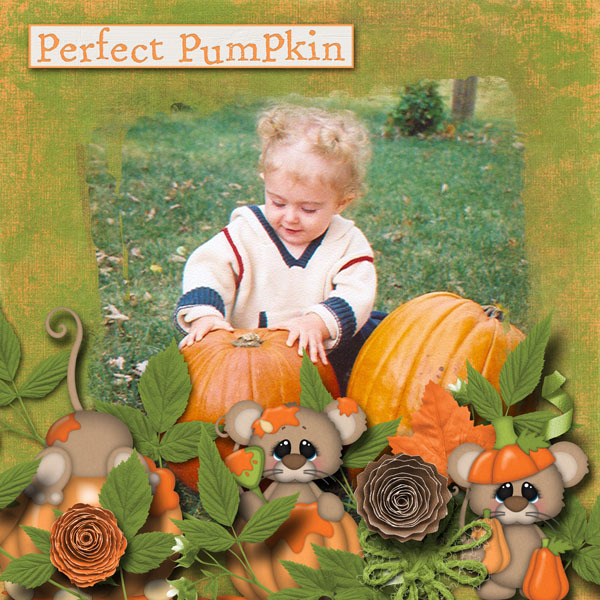 You can also cut your photos whatever shape you want and just place them on your pumpkin paper with the right shadow work to look like they are cut out. 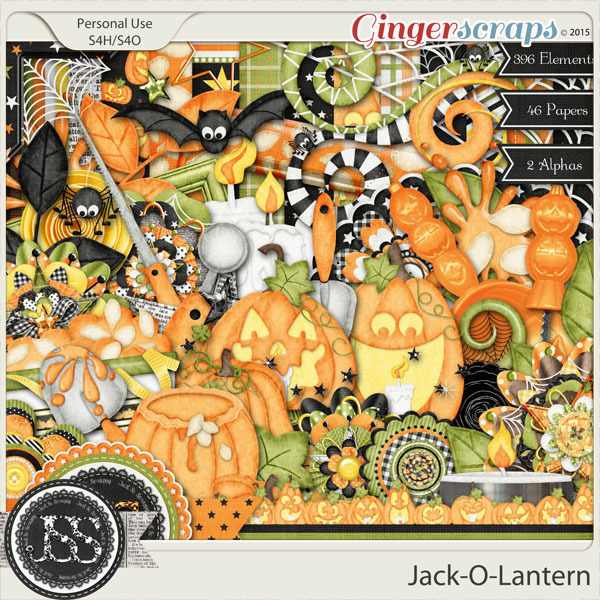 Another great example of a pumpkin shaped scrapping. 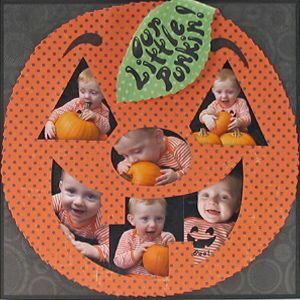 Just cut out your papers/ photos the size you want and arrange them to look like a pumpkin! 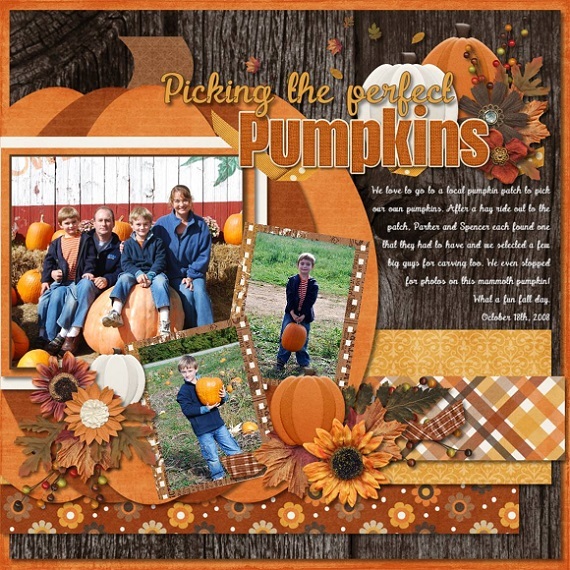 There are so many great ideas you can do when it comes to scrapping with pumpkins. 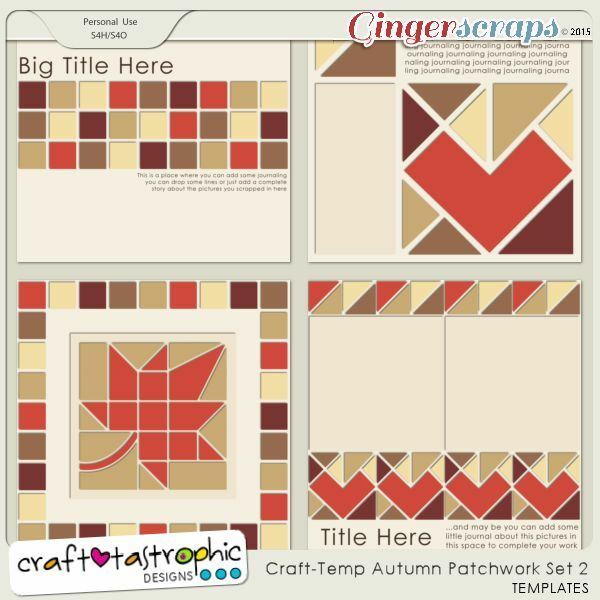 I found some great ideas right here at GingerScraps! 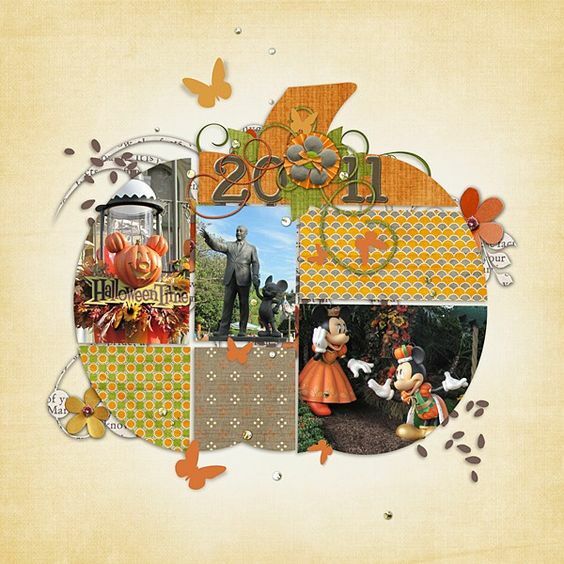 Our gallery is filled with some of the best layouts around digital scrapbooking town. 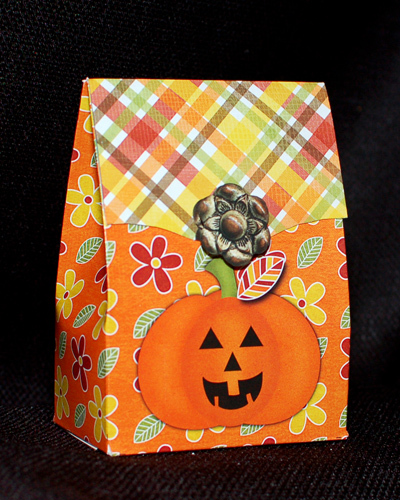 Here are some lovely ideas you can scrap lift! Wonderful, right? You know what is next!! 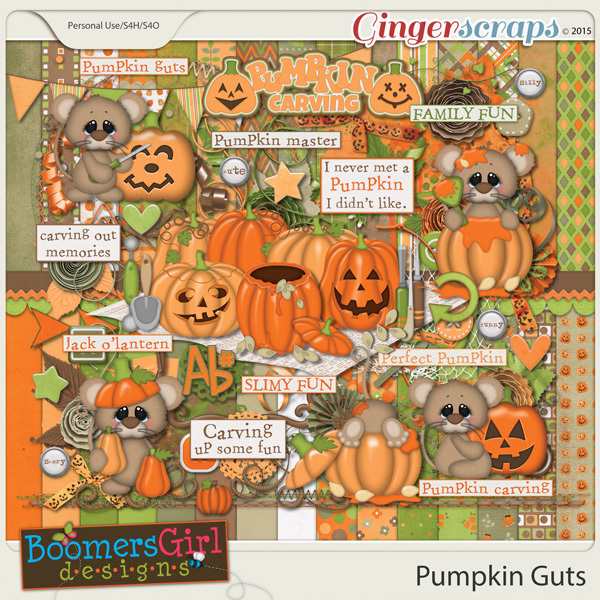 Here are some great items from here at GingerScraps to scrap all things pumpkin. Like the images above, they are linked to their counterpart in the store. 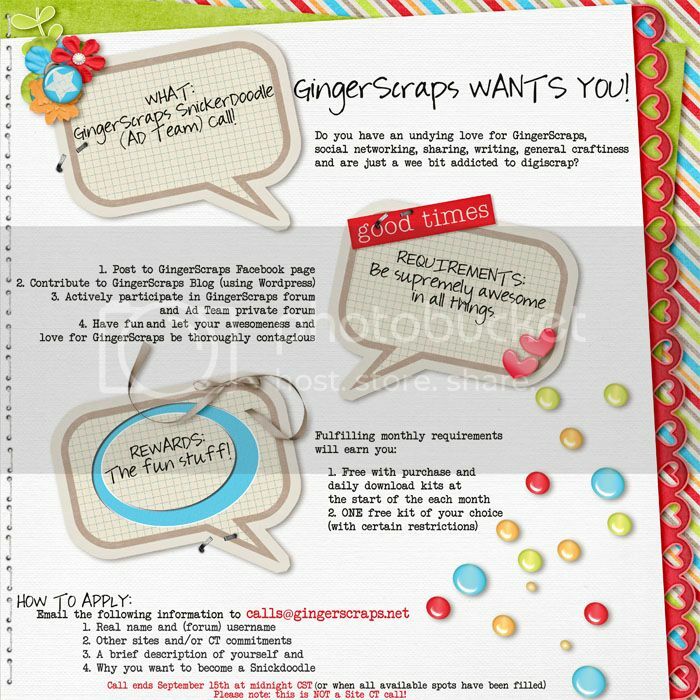 Good morning GingerScrap’s scrappers! If you remember, last month we celebrated the end of Summer. I don’t know about you, but here in the southern part of the States, it is starting to look a lot like Autumn! It is my favorite time of the year. From cooler weather, changing colors, holidays, and pumpkins. All these things make this season the best! We should of course scrap it, right? Never fear. 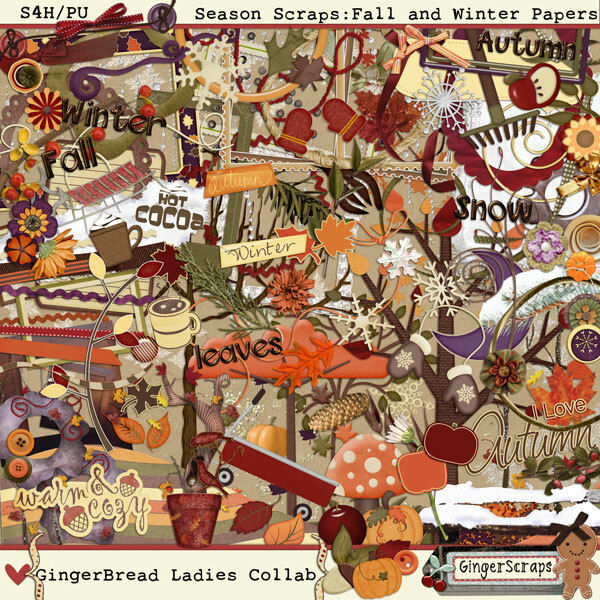 GingerScraps has so much to offer when it comes to scrapping seasons. Autumn is no exception. There is even a whole category dedicated to it. Today, we are going to take a look at just a few of those items. Get ready for all things Autumn! (items linked to the store). So, like I said. 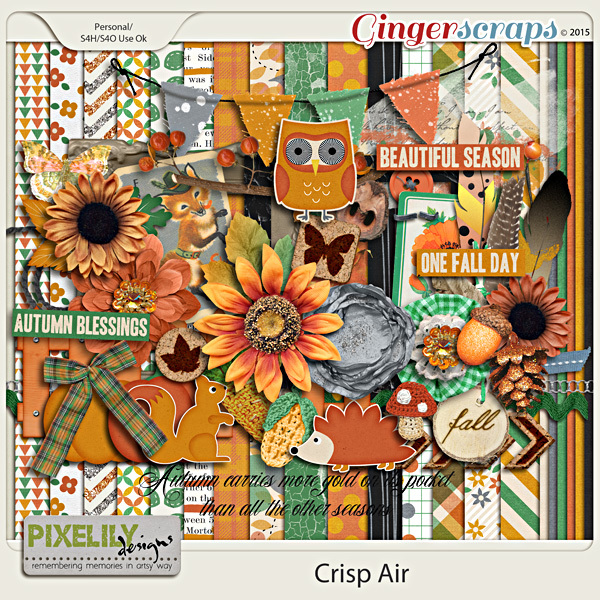 Just a glimpse at what GingerScraps has in store for scrapping those great Autumn and Fall photos. We would love to see what you have been scrapping! 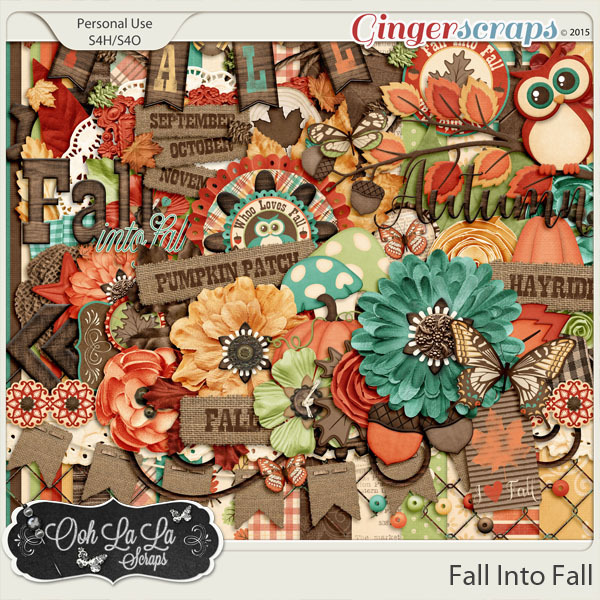 Got a great Autumn/Fall layout using some of the great GingerScrap’s items? Link us up! Up load that beauty in the gallery & let us see it! Make sure you check back closer to Halloween. I will be showcasing all those Halloween goodies. Happy Scrapping!